Discussion in 'Site Announcements' started by sothis, Jun 28, 2018. Planning to watch anything this Summer 2018 season? 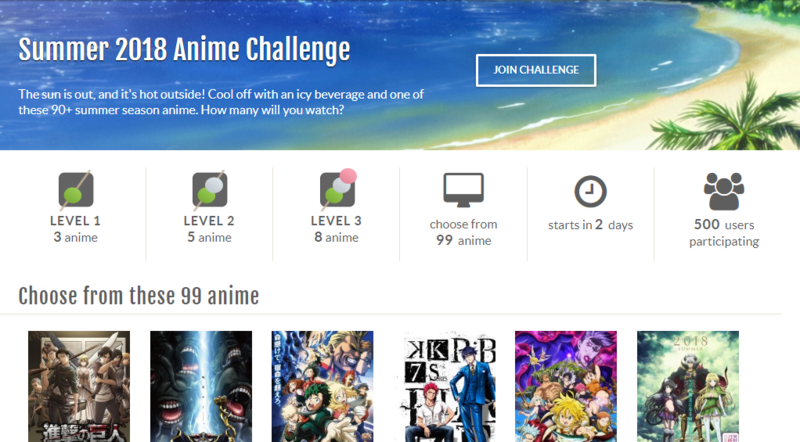 Join the Summer 2018 Anime Challenge! Watch any of the 90+ anime available that start in Summer 2018 as part of the challenge. Anime that started in previous seasons won't count - you can check the challenge page at any time to see which ones do count. Read more about the challenge feature/FAQ here. Once you've joined, check out the challenge discussion thread and post your challenge link! AmeagariHime, YariMari, shilomilo and 4 others like this.